War Grave Register notes: ROSENBERG, Tpr. Mark, 1678. 7th Australian Light Horse. Killed in action 5th Aug., 1916. Age 25. 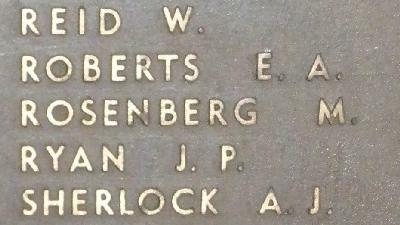 Son of Abraham and Margaretta Rosenberg, of 468, Lane St., Broken Hill, New South Wales. B. 35.